Money in the Garage: Ugly Christmas Sweater ? How would I know? Ugly Christmas Sweater ? How would I know? Funny story while at Goodwill today. I noticed another guy wandering through the racks who looked lost. You can always tell the folks who are newbies in the Goodwill Store. They look uncomfortable being there and wander around aimlessly. It's as if they want you to know that they don't normally frequent a thrift store-they're only there for some special reason. I was in my usual stride, motoring through the Men's shirts when I heard the newbie let out a big sigh. Now I am all business, so I basically ignored the gentleman until he was standing right next to me. He then interrupted my rhythmic pace through the shirts and asked me a rookie question,"Excuse me, you didn't happen to find any of those ugly Christmas sweaters?" I looked over at him sceptically and said, "Sorry, what?" He had my attention now and asked again, "Have you seen any of those big ugly Christmas sweaters? I need one for an office party I am going to tonight." My encounter with this befuddled guy reinforces how people really want those ugly Christmas sweaters this time of year! Buyers are looking for them at Goodwill and on eBay. Even though it's late in the season, it's a good idea to just stockpile when found for the right price. Either that or you can set up a table in front of the Goodwill Store for those last minute shoppers! I first heard of UCS in Jan/Feb, so I bought them thruout the year, although I wasn't sure what I was doing. I have sold over 35 of them! Started selling them in September and I am all sold out, except for 6. I still look for them in the thrift stores , but seems they are all out. I have a couple of posts about my finds. Love your blog! I had 11 this year and sold all of them for $29 to $70 bucks with free ship! Yeah! Only buy bigger sizes. It is hard to move the smaller ones. 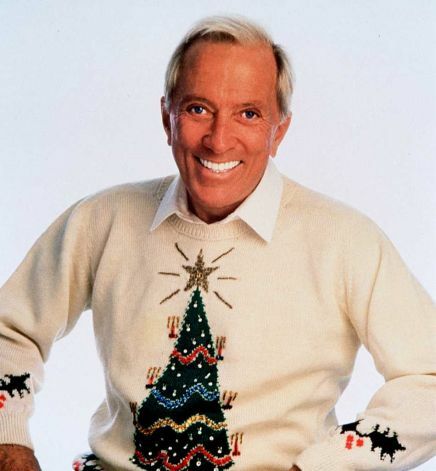 OK, I don't sell clothes, but I think I'm going to start keeping an eye out for these sweaters. What do you do to prepare them for sale? I worry about things like smells (perfume/moth balls/smoke) and pet hair. Ugh, I have three and can't unload them! They're my mom's and she was a bit put-off when she saw I'd listed them as "ugly/tacky"
Laughing @ Maggie's mom seeing her beloved sweaters listed as "ugly!" Hey, you call em like you see em, Maggie!! Yep, for sure keep an eye out for them year-round. Our GW used to sell all sweaters in the summer for $1 so I would stockpile them when I found them. But they caught on and now they don't mark down any sweaters at all in the summer. 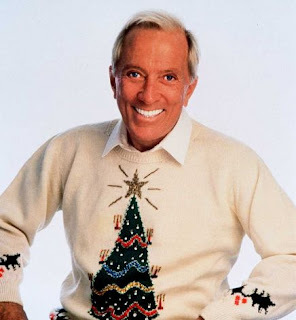 The Ugly Sweater thing is relatively new, I think - maybe within the last 5 years (?). Dude, you did the right thing pointing him to the goods....but I'm like you, I have to dig and find, so THEY have to dig and find! Otherwise, he should be looking on ebay! Love your blog, Dude - and also Goodwill Haunting blog! Always fun to hear about what others are finding and selling! Hey everyone-I guess the ugly Christmas sweater trend just recently came into vogue. It's turned into a big deal though! Maggie can't sell yours and insulted Mom? Pretty funny! Susie-Exactly. he can search just like all the rest of us right? Thanks for liking the blog! beckyp-Yeah, keep on a look-out, the gaudier-the better. I like Andrea's sales of up to $70 per sweater, nice! Goodwill Haunting- You have a great blog too! I'll read about your sweater sales, sounds like you did pretty good this year. Miss Clamco-"I'll run them through the gentle cycle, but if I think they are clean right off the rack, that's how I sell them. No wash needed. Hey Mindy, I will check them out-Merry Christmas! Would Santa surf Ebay after Christmas? Stick your head In the trash for cash! How much for this carpet on my shoulder?